Jump to RecipeGet the most out of your roast chicken and have a healthy, flavorful base for future meals by making crockpot chicken stock! Plus, finally understand the difference between chicken stock vs broth. Before we go any further, I want to be absolutely clear that this is not the uber-hip, nutrient-packed cure-all that is now being sold in hip hole-in-the-wall cafes in downtown New York for like $37 a cup. That’s bone broth. This is chicken stock: thinner, quicker-cooking, less-likely-to-make-your-house-smell-like-a-jello-factory-for-three-days, boring old reliable chicken broth. I worry that, in our quest for <<OPTIMUM HEALTH>>, we have forgotten about some of the basics – which is, of course, a crime, especially given how easy it is to make it in the crockpot (slow cooker). 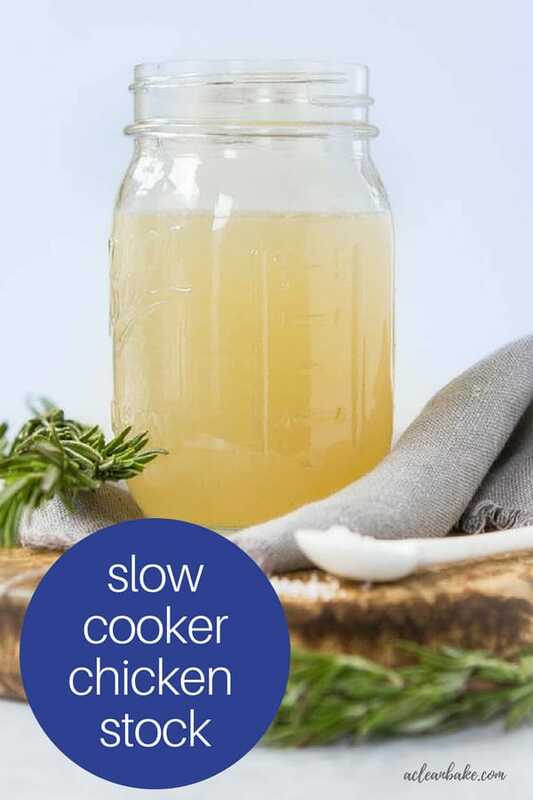 Crockpot chicken stock has always been a building block of my repertoire as, I suspect, it has for home cook who is regularly strapped for time but still has to put a healthy meal on the table day in and day out for a long time. Chicken Stock vs Broth: What’s the difference? Both stock and broth are made by slow-simmering chicken bones with aromatic vegetables, herbs and spices in order to extract the earthy flavors and save them for your next batch of soup. Traditionally, this is done in a stock pot, but I discovered how easy it is to just throw it in the slow cooker and let the machine do all the work. The primary difference in the broth vs stock question is the simmering time. Stock called for a slower simmer time, resulting in a milder, lighter-colored liquid that is ideal for deepening flavors in cooking. 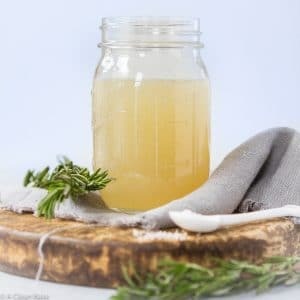 By comparison, bone broth simmers for 2-3 times as long in order to extract the nutrients from the bones and break down the connective tissue. 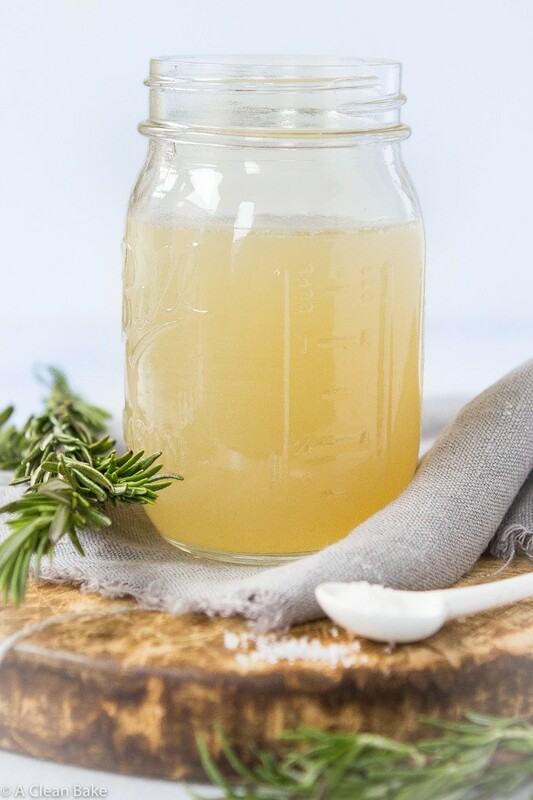 In addition to offering more nutritional value, bone broth has a strong, earthy flavor and a heartier consistency (thanks to the gelatin that has been released from the chicken bones over the course of a long cooking process), chicken stock is milder and meant to be used as an ingredient, not enjoyed on its own. 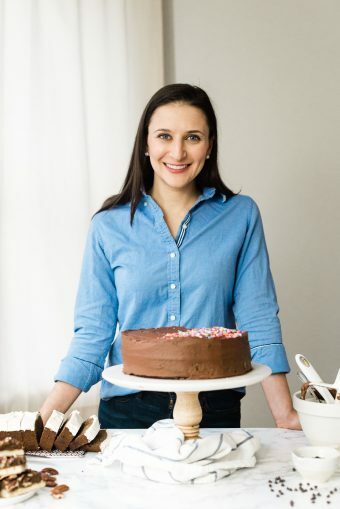 It’s the kind of ingredient that hides in plain sight: you don’t notice it when it’s there, but when it’s not, something – that you can’t quite put your finger on – is off, as though the depth of flavor is missing a piece. It’s a humble ingredient, one that has all but given up its spotlight entirely in the face of bone broth‘s rise to fame, but I think it’s time it got its due. Or at least its own blog post. It’s fast and easy: I make it in my crockpot, although you could certainly make it on the stove top by simmering it over low heat. Just dump all the ingredients in and walk away. 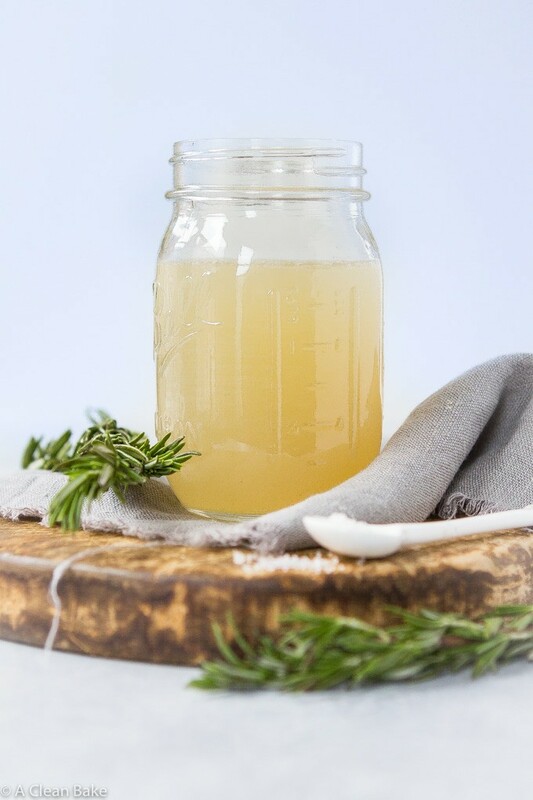 Unlike bone broth, chicken stock cooks for a much shorter amount of time (4-6 hours), so you don’t have to leave it overnight or commit your stove for 12-24 hours. However, if you are making it in the crockpot, you can cook it overnight and I usually do for simplicity. You can either just put it in before you go to bed and cook it for a couple of extra hours, then thin it out with more water after it’s cooked and strained, or – if your machine has a warm setting like mine does – just cook it for 6 hours and let the machine hold on to it for the rest of the night until you wake up. It’s healthy: Don’t confuse this with the high-sodium, grocery store-bought broth (as it’s often labelled, even though it is actually the milder chicken stock) you buy in cans or cartons at the grocery store (cough looking at you, Swanson). You’re making it from scratch so you can completely control the amount of salt in it. It’s versatile: Yes, of course, you can make chicken soup. But you can also use this homemade stock to thin curry, braise meat (probably just chicken), flavor stir fries, and so many other applications. It’s more flavorful than water, so lots of recipes prefer you use stock over water for best results. It’s frugal: I don’t know about you, but when I buy once of those tiny $14 organic rotisserie chickens that ends up lasting maybe 1.5 meals, the idea of getting a little more value out of it is pretty appealing. If you consider that the meat provided a meal or two, then the stock (via the carcass) enables two or three more, that chicken now sounds less like overpriced designer poultry and more like a really great deal. It’s handy: Whenever we finish a rotisserie chicken, I throw the carcass in the slow cooker and make stock, even if I don’t have a use for it in mind. I stash it in my freezer until I am either out of dinner ideas and need a place to start, or making a recipe that *surprise! * calls for stock and I didn’t realize it until I get to that step. Yes, perhaps I should start reading recipes more carefully ahead of time, but until then, my frozen stock of, well, stock will save me every time. Since we got home from vacation late-ish last night (now that we have a baby, anything after 3pm feels like the day has just slipped away) and I have barely figured out where my toothbrush is in all of the luggage (Why does such a tiny creature require so much stuff? ), let alone meal prepped, I’m just thanking my lucky stars that I have a couple of jars of crockpot chicken stock in the freezer to give me a head start on dinner. Get the most out of your roast chicken and have a healthy, flavorful base for future meals by making crockpot chicken stock! Add all of the ingredients to the bowl of a 4-quart Crockpot/slow cooker (such as this). Cook on low 4-6 hours until chicken carcass has broken down and falls apart when you pick it up. Strain, discarding solids and reserving broth. Taste broth and add additional salt and pepper, if desired. Store broth in an airtight container for up to a week. Broth will keep in the same airtight container in the fridge for up to 3 months. Defrost before using. If you want some AMAZING chicken broth – try making it with chicken FEET! I did this once to try – and while I will make some with roasted chicken/turkey leftovers the flavor from the feet was just over the top!